Our 4-day program is spread over two weekends and its focus is comprehensive aesthetic and restorative care. Through our lecture series, participating doctors will gain the advanced knowledge necessary to complete the most challenging cases. The clinical portion of our program allows our participants to work together with our faculty on a wide range of cases including anterior veneers and cases requiring veneers, bridgework, and all-ceramic restorations. 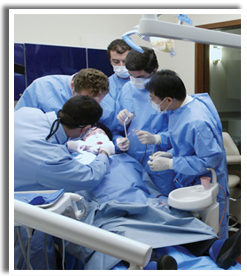 Our program may be taken two ways: you may choose the hands on experience and bring your patient or you may choose to attend our course as an observer, without a patient, where you will observe over the shoulder up to 15 cases being treated from start to finish. It has been shown that the graduates of our long-running aesthetic/restorative programs have seen their practices grow and flourish even in these challenging economic times. Let us infuse your practice with the excitement, energy, and the necessary skills to become more confident and passionate about the practice of dentistry, setting yourself apart from others in your field! Contact Aesthetic Advantage in New York, NY for enrollment information 212-794-3552 or www.aestheticadvantage.com. Through February 20 – 21, 2015, Aesthetic Advantage along with Nova Southeastern University will be presenting their second annual dental extravaganza in Fort Lauderdale, FL at the Seminole Hard Rock Hotel and Casino. This Dental Extravaganza will feature key speakers touching base on subjects such as: Anterior Aesthetics, Dental Implants, Practice Building, Practice Branding, New Materials and High Tech Innovation, Laboratory Communication, Periodontal Procedures, Cadcam, and more. Our Key Speakers include: Dr. Larry Rosenthal, Dr. Michael Apa, Dr. Dean Vafiadis, Dr. Jay Lerner, Dr. Brian Chadroff, Dr. Gary Ruth, Jason Kim Lab, Debra Engelhardt-Nash, and Alan Siegal. We look forward to seeing you at our Second Dental Extrvaganza! 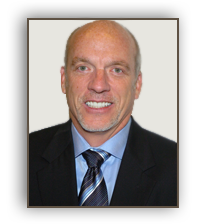 Dr. James Ciancarelli has over twenty years of experience providing excellent dental treatments in Long Island and prides himself in being one of the best in that area! He graduated from Queens College New York with an honors degree in chemistry and then realized that dentistry was his calling. In 1981, he received a dental degree from the University of Pennsylvania. There, he completed a two year general practice residency at Brookdale University. Aesthetic Advantage is proud to introduce Dr. Dean Vafiadis, one of our highly successful aesthetic dentists and Senior Clinical Instructor to our Aesthetic Continuing Education Courses. Dr. Dean Vafiadis received his dental degree and prosthodontic specialty training at New York University College of Dentistry. 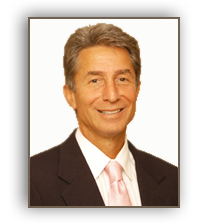 He is currently the Director of the Full-Mouth Rehabilitation CE course at NYU. He is an Associate Professor of Prosthodontics at NYU College of Dentistry. Dr. Vafiadis is a lecturer and clinical instructor at the Aesthetic Advantage Course in the Rosenthal Institute of Aesthetic and Implant Dentistry at NYU. He lectures nationally and abroad for NYU Continuing Education department. 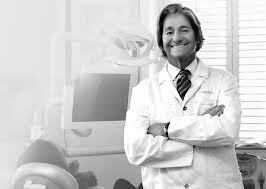 He has instructed over 7,000 dentists with over 500 programs in the past 14 years. 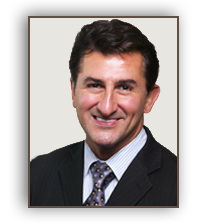 Dr. Vafiadis published and lectured on various computer-based programs, such as computerized dentistry and computerized implants, facial aesthetics and prosthodontic treatment planning, and has advanced restorative techniques for implants, aesthetics and occlusion. He is the founder of the New York Smile Institute in NY. It is an educational center, full-service laboratory and learning facility, as well as a private practice location for a multi-specialty practice for implant an aesthetic dentistry. 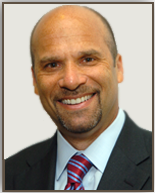 Currently he is the program director of the Full-Mouth Rehabilitation CE Program at NYUCD. He is also lecturing for the Continuing Education program at NYUCD, for porcelain veneers and for many districts in USA and Europe. His patient base includes many celebrities, sports figures, fortune 500 company executives, producers, directors and writers in the film industry, executives in the fashion world and world-renowned chefs and restaurant owners. He maintains his private practice with his partners at the Takashimaya Building. 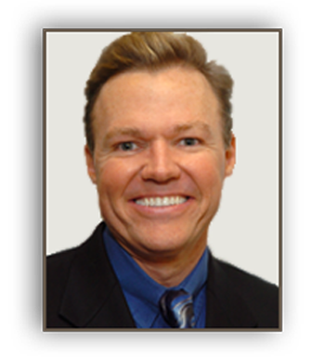 He is also on the advisory board of STEMSAVE.com, World Journal of Dentistry, Dental XP, and the online Journal of Clinical Implants and Advanced Dentistry. Dr. Vafiadis’ primary professional mission is to educate, publish and invent new technologies that will help change the dental profession and patients’ lives. For more information on enrollment in the longest running and most highly regarded hands-on symposium of its kind call Aesthetic Advantage in New York, NY at 212-794-3552. Visit the website at www.aestheticadvantage.com. Classes available in London, England; Palm Beach, Florids; Manhattan, NY. Here at Aesthetic Advantage it is important to us to help new dentists get their practices off to a great start. By enrolling in our Head Start program we can do just that. This program has been designed to offer recent dental school graduates an exciting opportunity in continuing education. Participants will be able to review our dental continuum which is headed by Dr. Larry Rosenthal, a pioneer and internationally respected expert in the field of aesthetic dentistry. This is all offered at on-half the rate of our normal tuition! This provides an affordable way for young up and coming dentists to jump-start their careers and engage themselves in this exciting and rewarding aspect of dentistry. You will listen to lectures and observe our clinic sessions. Up to 15 live cases will be prepared, temporized and seated the following session. This program gives you the opportunity to see if our Aesthetic Program and philosophy is right for your practice. We only accept the first 10 applicants with each course, so don’t delay in enrolling! Call Aesthetic Advantage today at 212-794-3552. 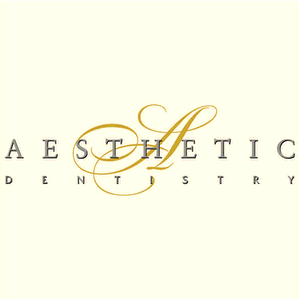 Visit our website at www.aestheticadvantage.com. Restoration of the severely worn dentition is one of the most challenging procedures in dentistry. In order to successfully restore and maintain the teeth, one must gain insight into how the teeth arrived at this state of destruction. Tooth wear can result from abrasion, attrition, and erosion. Research has shown that these wear mechanisms rarely act alone and there is nearly always a combination of the processes. Evaluation and diagnosis should account for the patient’s diet, history of eating and/or gastric disorders, along with the present state of the occlusion. Emphasis must be placed on the evaluation of occlusal prematurities preventing condylar seating into the centric relation position. Behavioral factors that may contribute to parafunctional habits and/or nocturnal bruxism are also important to understand and manage in order to successfully restore and maintain a healthier dentition. Once a complete understanding of the etiology of the dentition’s present state is appreciated, a treatment plan can be formulated, taking into account the number of teeth to be treated, condylar position, space availability, the vertical dimension of occlusion (VDO), and the choice of restorative material. While all occlusions wear to some degree over the lifetime of the patient, normal physiological wear usually does not require correction. Severe or excessive wear refers to tooth destruction that requires restorative intervention. Severe attritional wear can result from occlusal prematurities that prevent functional or parafunctional movements of the jaw. This wear can be seen at the site of the prematurity or on the anterior teeth as a result of the “hit and slide” forward. Restoration of the worn anterior teeth then becomes a challenge as space availability for prosthetics becomes limited. If lengthening the teeth is a goal in order to achieve a more aesthetic smile, then the question of the need to alter VDO subsequently arises. Are you looking to increase your dental knowledge on topics such as this? Do you want to expand your dental education and increase business and your standing in the dental community? 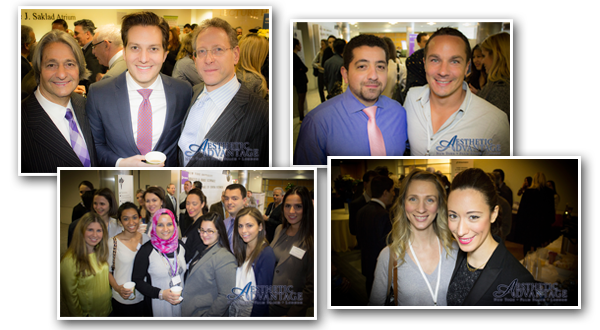 Enroll today at Aesthetic Advantage, New York, NY for a state of the art dental continuum education. Call today at 212-794-3552 or www.aestheticadvantage.com.